Guttering plays a vital role as it helps divert rainwater away from your home and funnel it to the ground, or into a storm water system. Houses without gutters are more likely to experience wood rot on the fascias and soffits, and water could even begin to pool at the base of the building. This water will more than likely move under the foundations causing them to settle, and this could cause the wall above to separate from the rest of the building, resulting in structural damage. It is for this reason that your gutters should be repaired and replaced when necessary with high quality, water resistant alternatives such as colobond, aluminium or uPVC. Guttering is available in a choice of styles to suit different buildings and designs, and the most common types are square, round, ogee and deep guttering. Suitable for both traditional and modern houses, square gutters are strong and reliable and work well in areas where heavy rainfall is an issue. 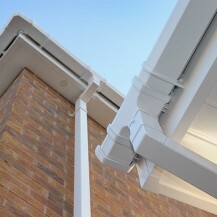 Square gutters have a high capacity and can deal with large volumes of rainwater. Round, or half round, gutters have a wide diameter and can either be in the shape of a semi-circle, or feature a straight back. Like square gutters, this style too can also cope with a large amount of rain water and are well suited to properties in areas of heavy rainfall. 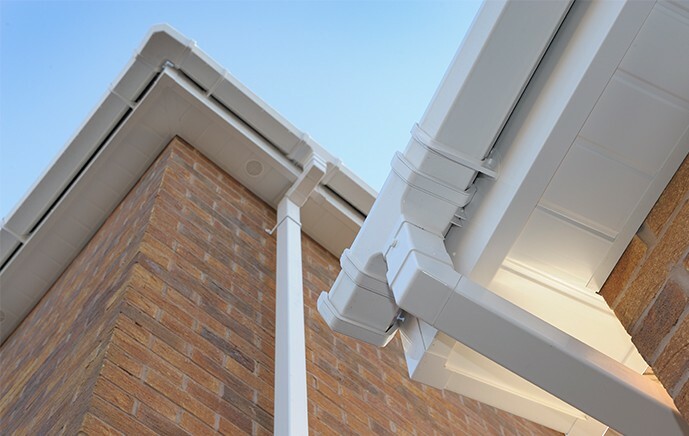 Ogee guttering is also known as scalloped guttering and is designed to aesthetically complement your home by providing a decorative finish to your roofline system. This style is ideal for use on larger residential properties and conservatory roof applications. 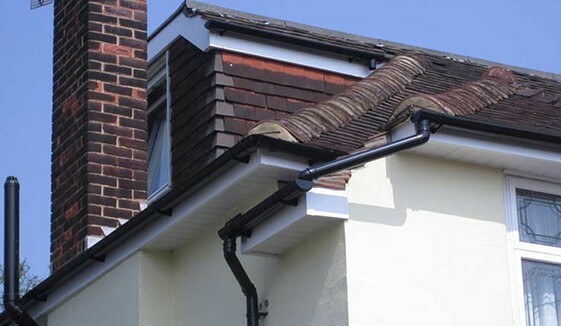 Deep guttering systems are ideal for properties with a large roof area such as terraced housing. 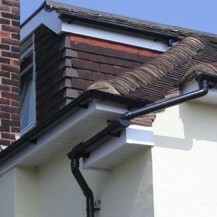 The deep shape of this guttering style takes a large capacity of water meaning fewer downpipes are required.